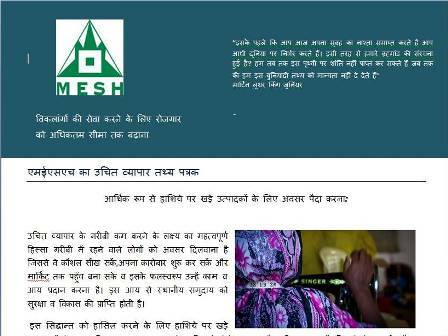 Here is another in the MESH series of Fair Trade Fact Sheets. This one is about WFTO Fair Trade Principle No 1, Creating Opportunities for economically marginalised producers. The fact sheet explains a little about the principle and then lists the compliance criteria and indicators. These are available in English and Hindi so that they can be shared with our producer partners. Please feel free to use these fact sheets to tell more people about Fair Trade.